Digital is the future of video media. 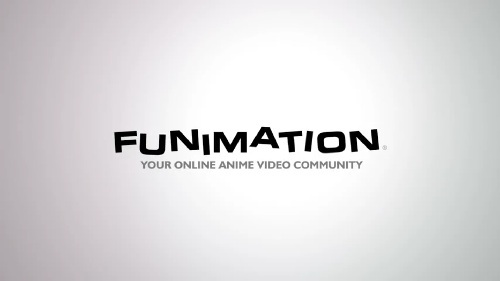 Funimation’s announcement of a new premium streaming service this weekend shows that it recognizes what it needs to do to maximize its profits. Up until now, Funimation mostly used streaming to advertise its physical disc releases. I think this announcement reveals the company’s true online strategy, to use streaming as the primary source of Funimation’s profits. Funimation’s streaming service as its major profit center makes sense given how fans consume media. Anime lovers are already watching anime on their computers. Online consumption began with the convenience, low price and selection of fansubs and has transitioned into legal, licensed simulcasts at sites like Crunchyroll and Nico Nico. But fan convenience isn’t what’s important, streaming is the future because it’s ultimately more profitable. It lets Funimation cut out Best Buy and Amazon and sell directly to consumers. Plus it gives Funimation direct access to demographic information and viewing habits of customers who will pay for Anime. Best of all, it forces customers to pay over and over again for what was a one-time purchase. The only competition has come from Blu-Ray. But unlike DVDs, the US and Japan are in the same region for Blu-Ray, which means that US discs will play on Japanese Blu-Ray players. That has Japanese companies worried that their Japanese customers will import discs from America instead of buying them at home. The result is that American Blu-Ray discs are delayed or unavailable in Japanese. In the case of Baccano!, two years passed after the last disc in the series was released before the Blu-Ray box set was available. With streaming as such an attractive option it’s no surprise that multiple companies have set up shop. Already Netflix, Hulu, Crunchyroll, the Anime Network and now Funimation are willing to take your subscription dollar. The real unknown is demand. I expect that fans will only be willing to pay for one or two streaming services. If Funimation can make itself the number one or two choice it can guarantee itself a constant stream of money for the foreseeable future. Can I watch the Funimation streams in my country? Not yet, but if the service is profitable here it should be expanded elsewhere. That’s certainly happened with Netflix. What about foreign viewers? What about people that can’t pay online because they’re under 18? What about people with slow internet speeds? You have to remember that anime companies are for-profits. They care about what makes them money, not what’s convenient for you. Streaming will be more profitable than selling physical discs, even if some people can’t subscribe because they are under 18 or have slow internet connections. I think foreign viewers will see increased streaming options. Crunchyroll already targets the international market, their last two simulcast announcements You and Me (“Kimi to Boku”)! and Chihayafuru include international availability. Plus streaming is a product that should yield increasing profit as you increase the number of viewers. Of course Japanese companies will demand more money for international rights, so streaming will be available when the expected additional profit of those rights exceeds the licensing cost. That seems to have happened already with Crunchyroll, and you need only look to Netflix to see the potential for dramatic international expansion. No DTO – no deal. Funimation already lets you buy digital versions of anime on Amazon and iTunes. But that distribution still requires Funi to fork over 30% of the purchase price so its not as attractive as a streaming service. Netflix never offered download-to-own and Crunchyroll abandoned its service, both are doing fine without the option.